Decluttering at home is not as easy as it sounds. There is a lot of emotions attached to the things we keep. Often, it can feel like a little part of us is dying each time we throw something away. Years ago, I burst into tears like someone had died after my boyfriend broke my favourite teapot…No judgment :-) We’ve all been there…. That being said, sorting out your belongings, and finding clever storage solutions to minimise clutter in your home, making it more pleasant to live in. Take anything that is out of date, opened or was a one-off treatment to the chemist. Recycle packaging. Your first aid kit should fit in a shoe box. Throw away all the samples you’ve been collecting for months especially face samples. If you don’t want to throw them away, challenge yourself to not buy new creams, shampoos or body lotions until you’ve gone through all your samples. Wash your makeup bag and throw away anything you haven’t used in 6 months (lipstick included! If you haven’t used it, it’s probably not the right colour for you). Small containers that fit on those shallow shelves are game-changers when organising your bathroom cabinet. They save space and are great to keep together toothbrushes, nail clippers, and keep small items like hair ties from magically disappearing. Anything that doesn’t fit in your bathroom cabinet has no space in your home full stop. Do you really need 3 corkscrews, five mixing bowls or four water jugs in your cupboard? Probably not! Duplicate items will never be missed. You may be keeping hold of them for when your son/daughter goes off to University or buys their first home, but realistically this could be years from now. To free up some shelf space, pack them in a cardboard and store them in the garage until you need them. Keep your kitchen counter clear. If something is left on your worktop, ask yourself how often you use it on a weekly basis. If you don’t use it often, store it. If you rarely use it, dispose of it. Yes, it’s great to have a fondue set, a 12-people raclette set or an ice-cream maker but how often do you pull it out of the box. If it’s once a year, sell it on eBay and go and eat your fondue at the restaurant. Glassware/tableware: get rid of any chipped glasses. Plastic boxes: Tupperware and plastic boxes from take-aways meals are practical but do you really need a drawer full of them? Probably not! Keep one per family member max & bin the rest. Pull all the items from pile #1 back in your wardrobe. Put all items from pile #3 in bags and take them to a recycling bank or charity shop. Put all items from pile #2 in plastic bags and leave them by your entrance door or in your garage. A couple of months later, if you haven’t thought about any items in those bags, you’re emotionally ready to get rid of them. Take them to a charity shop and in any doubt, tell yourself that it’s good to move energy around and to treat yourself to new clothes. Give yourself more wardrobe room for ten months of the year by storing seasonal items like skiing gear at a self-storage facility. Furniture: keep it minimal and avoid having a chair in the bedroom as inevitably, it will soon be covered by a pile of clothes. At the end of the day, clothes should either be put away or throw in the laundry basket. 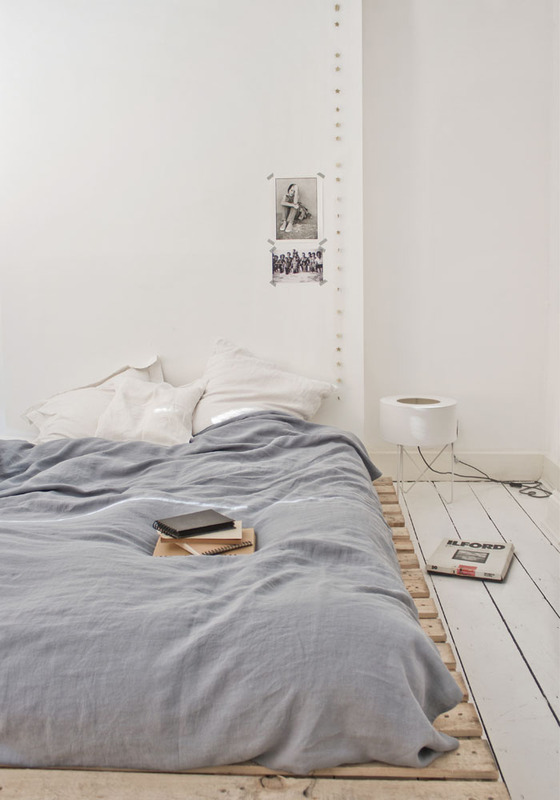 Books: limit the number of books on your bedside table to one. If you’ve read them, they go back on the shelves. Make sure everything has a home: store spare batteries & bulbs together, books on shelves not by your bed. If you are re-decorating, package everything up beforehand and rent a self-storage unit for the duration of the disruption. This leaves more space at home and means you can be safe in the knowledge that your items are safe from paint, heavy lifting and any potential bangs and scrapes. Aim to have integrated wardrobes or kitchen units from floor to ceiling to maximise storage space. Sort out bills & other important papers once a month and shred anything you no longer need to keep paper clutter to the minimum. Indeed! I hope you had a nice weather!